The number of dangerous dog declarations in Chicago is increasing, as are orders to euthanize so-called dangerous dogs, according to city records. Now, dog owners who are fighting to save their dogs from euthanasia tell NBC 5 Investigates that Chicago Animal Care and Control is too quick to label their dogs “dangerous." Chicago Animal Care and Control declared 94 dogs “dangerous” this year through August, records obtained by NBC 5 Investigates show. During the same time frame in 2011, only 34 dogs were declared dangerous. “If people knew really what happened there, knew the numbers, they would be horrified,” said a former department worker who asked to remain anonymous. The former worker said CACC’s current leadership is more concerned about liability than compassion. A veterinarian accused of animal cruelty after four dogs were found dead and several other animals “decaying” at a Dolton animal hospital is now facing felony charges. NBC's Natalie Martinez reports. A CACC spokesperson said dangerous dog investigations are thorough and done in accordance with city code, including interviews of witnesses, victim and owners, along with a detailed review of all relevant facts and evidence. Still, records show so-called dangerous dogs are more often ordered euthanized than they were several years ago. CACC has ordered 30 dogs to be put to sleep this year through August. During the same time frame in 2011, there were two euthanasia orders. Rey Ramirez admitted that his pitbull, Chucky, bit a neighbor in May in what he called a “provoked accident”. CACC officers investigated the incident and later declared Chucky dangerous. The CACC director then issued a euthanasia order. “I was very, very angry. I was hurt,” Ramirez said. But Ramirez appealed the case with the Department of Administrative Hearings, arguing Chucky was kicked during the time of the bite. The judge then dropped the euthanasia order and reversed Chucky’s dangerous dog declaration. After spending 72 days in the dog pound, Chucky was free to go home. In fact, of the 63 dangerous dog cases appealed to Department of Administrative Hearings between August 2013 and August 2014, administrative judges reversed 10 of the dangerous dog declarations or dropped the euthanasia orders. 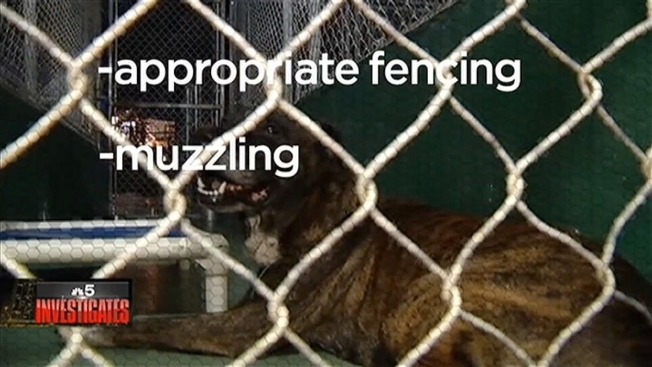 Chicago city code allows for a number of alternatives to euthanasia, including appropriate fencing, muzzling and banishment from the city. According to CACC, humane euthanasia is the absolute last resort and that in most cases, the animal can remain with the owner as long as they abide by restrictions. The department said it receives roughly 60,000 requests for animal-related services every year – 15,000 of which are reports of vicious animals and 2,000 of which are reports of animal bites.